Hello everyone! Month of March just started and it started to get warmer here in CA. I would like to share my February favorites, things I picked or I've been loving in the past month of February. SK-ii Facial Treatment Essence. I know you wont believe me but I've been suffering from acne for so long, since I can remember and I've done everything used everything to prevent my acne or at least to calm it down and I just gave up because nothing is working. Well I was wrong. Since I used this essence and the toner I noticed a big difference, My skin looked calm, brighter, smoother and in fact it looked better than ever. It absorbed on the skin really well and also help to moisturized the skin. This product works for real! SK-ii main ingredient is PITERA or Fermented Rice Water. Its is a very light on the skin and as you can see in bottom picture, its just looked like water. Although this one is very expensive, in my opinion this product is amazing! If you guys still think this is very expensive. I would like you to try at least the SK-ii Trial Kit retail price for $99 It come with the facial treatment essence (75ml), a little bottle of treatment clear lotion (30) and facial treatment (sheet) mask (1pc). I think this a good deal because you are getting extra products that you can try instead of just buying the smallest bottle of facial treatment essence alone. By the the way it is the same size bottle if you purchase the SK-ii Trial Kit. I also apologized that forgot to take picture of the Treatment clear lotion. But basically its a toner and its very watery and light on the skin. You can find this item at Sephora,Bloomingdales and SK-ii website. For more information about the SK-ii products click here! Here is my makeup faves! Its Judytime eye shadow palette is one of my favorite of all the eye shadow palette that I have. The colors are very forgiving, beautiful and wearable from day to night look. You can see in my swatches above (bottom first 3 color from the left side) how pigmented they are I have this for more than 2 years now and the colors still looked gorgeous. 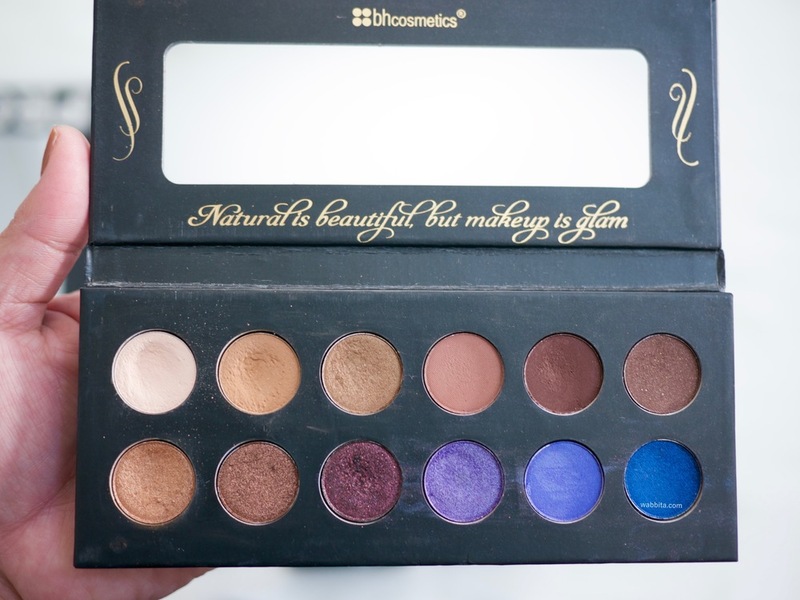 Good job Judy from picking up this amazing colors from this palette. If you guys don't know about this palette this was picked by my favorite Youtuber and beauty enthusiast, Judy Travis from daily vlogs Itsjudyslife and beauty channel on youtube called Itsjudytime. IThis is a limited edition so I don't know if you can still find it on Bh cosmetics website. Check out bh cosmetics website they have amazing affordable and good quality eye shadow palettes, make up brushes and more! Stila All Day Liquid Lipstick (FIERY) is absolutely gorgeous in my opinion. It stayed on my lips for so long, easy to apply, very creamy and it doesn't feel dry on the lips. This so pigmented that warm water will not work or regular makeup wipes, you have to use a oil based makeup remover for this. Stila All Day Liquid Lipstick is retail for $24 at sephora in store or online. Rivecowe Plenty Volume Mascara is one of the items I got when i purchased the Memebox X Vagabond Youth box I never used the mascara until last month. As you can on the picture above its just a regular brush mascara but when you apply to you eye lashes , it just make your lashes more fuller, longer and just make it looked like you have a naturally long eye lashes. 3rd picture from above was when I apply it on my left side and the bottom picture This mascara is really good in my opinion and last long too. In fact one of the best mascara I have ever used. I just wished I know about it sooner because I couldn't find this on Memebox website. Oh well maybe I can find it on Amazon or Ebay. If you want everyday mascara that will give you volume and a little lenght on your eye lashes and looked natural, this is the mascara for you! I will do a review on this and will be up in blog soon, so please stay tuned. 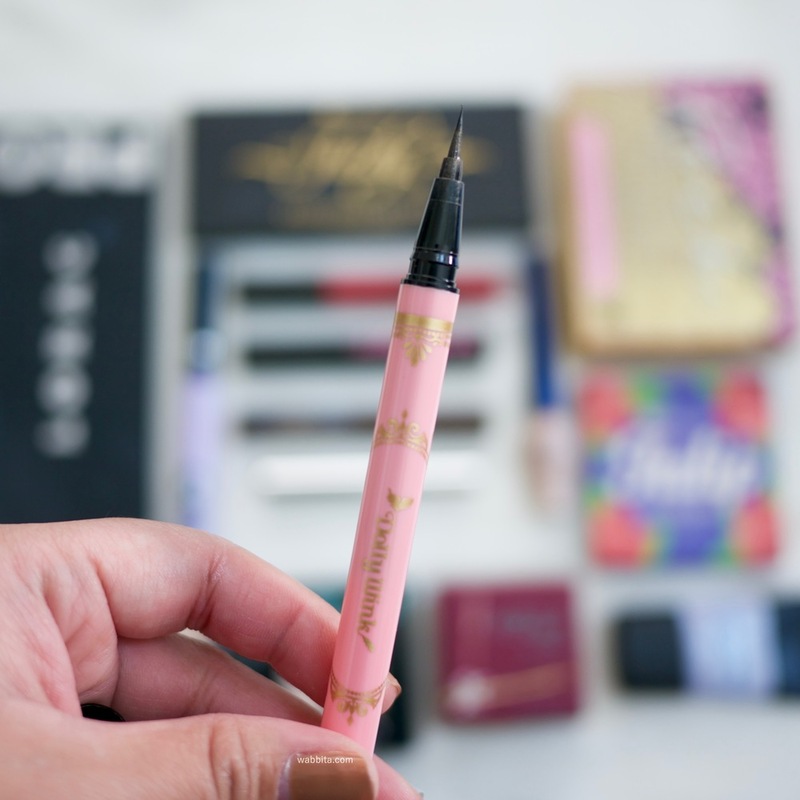 Dolly Wink liquid liner is a brand from Japan and I think they also false lashes, eyeshadow and a lot more. Anyway I like this liquid eyeliner because the brush is thin and easy to use in my opinion. The one that have here is in deep black, although its not the darkest black in color I think it still does it job. you can find this on Amazon or other website. The retail price is different from $12-$17 it depends on the website you find so I can't tell you the right price for this one.